This guide offers computer users who suffer from repetitive strain injury an effective program for self-care. It explains the symptoms, prevention, and treatment of RSIs and also addresses the often-overlooked root causes of RSIs. 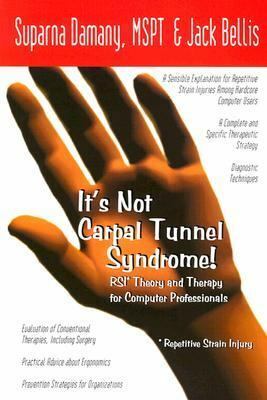 This holistic program treats the entire upper body with ergonomics, exercise, and hands-on therapy, increasing the likelihood that surgery and drugs may be avoided.Damany, Suparna is the author of 'It's Not Carpal Tunnel Syndrome Rs1 Theory and Therapy for Computer Professionals' with ISBN 9780965510998 and ISBN 0965510999.